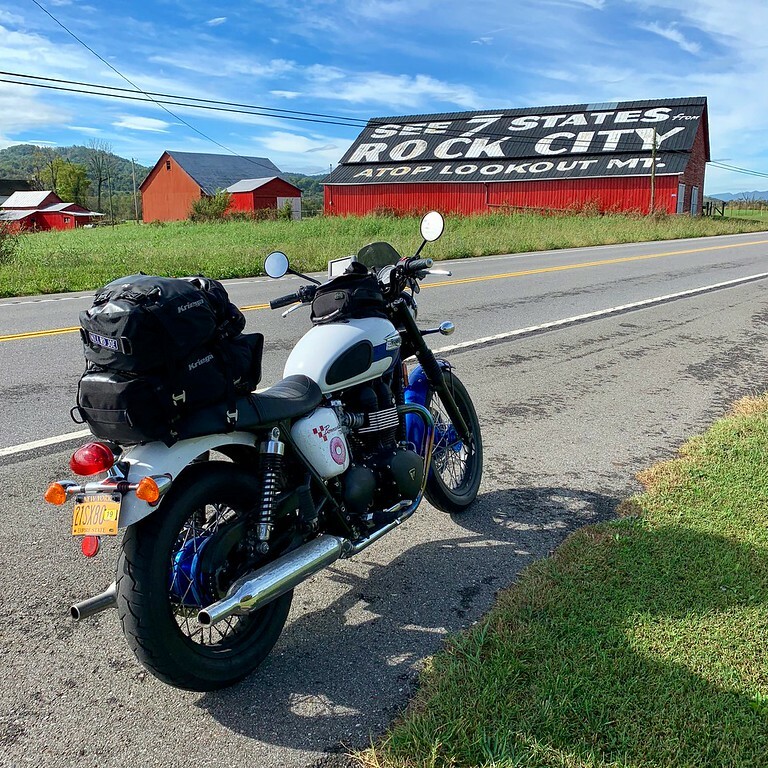 While riding in North Carolina and Tennessee last fall, I saw three See Rock City barns – one of which was entirely serendipitous. Isn’t it funny how that happens? Something becomes of interest to you and it begins to show itself in unexpected places – sometimes on a path which you’ve already trod. Maybe my dad was right, water rises to its own level. Do we become magnets for things? Do we disperse our energy into the world and watch it fall like glitter on the air, dusting those things that are supposed to sparkle for our attention? 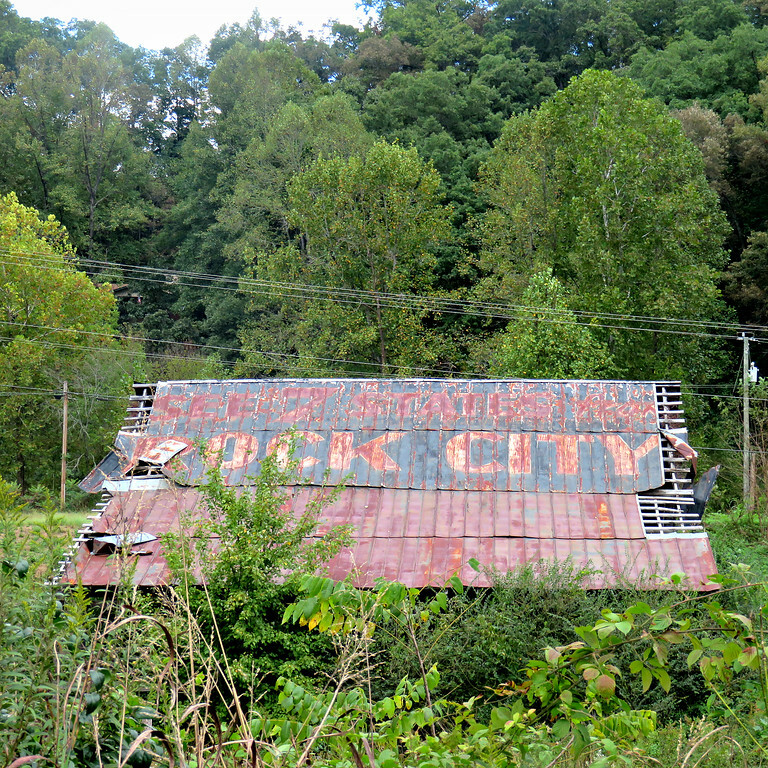 This Rock City barn in Grainger County, Tennessee was gorgeous. I was graced with a big blue sky, vibrant red barn, and green grass just waving in the wind. Seeing this baby was like being inside of a postcard. 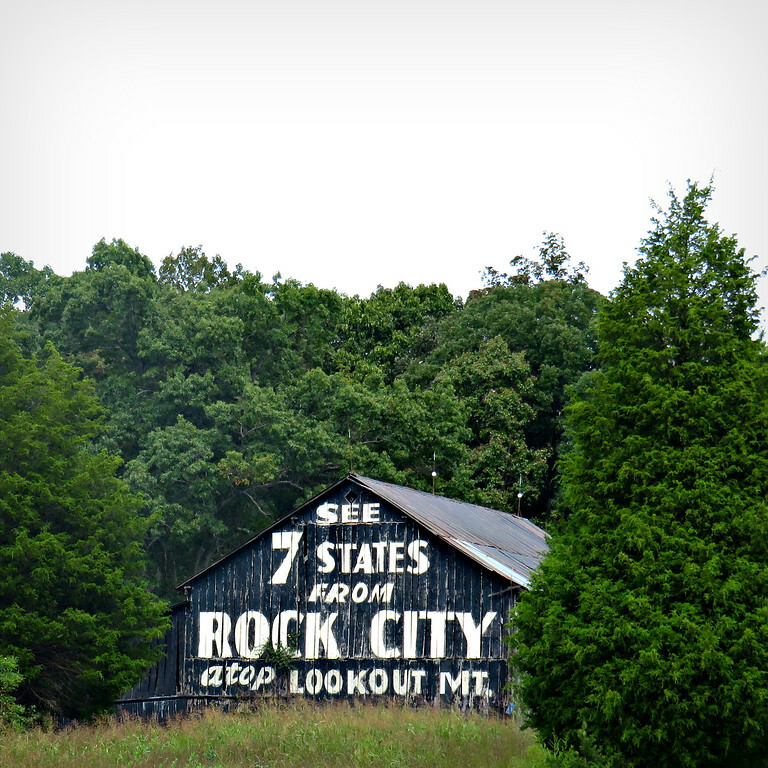 On my way north along Calderwood Highway heading to Marysville, Tennessee, I passed this Rock City Barn. I’d had a vague recollection of seeing it several years before on a trip with friends to the Dragon. This super-fade was a stone throw from where I saw one of those menacing Giant Chicken Army soldiers in Robbinsville, North Carolina. One minute you’re contemplating your next move in a global war game against fowl beasts and the next thing you know, BAM! Rock City Barn. Life is nothing if not mysteriuos. Interested in seeing some barns yourself? Well, you’re in luck. The Rock City website happens to have a location map for ya. Happy Friday: DRZ 400 Parts Installed, Now Let’s Go Riding!